I couldn't just make one cupcake now could I? 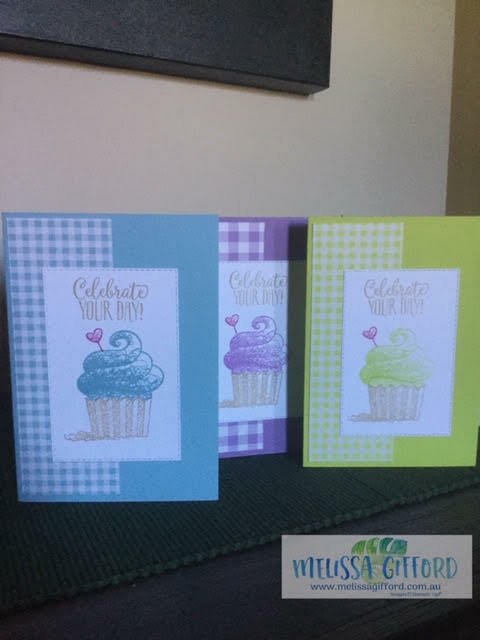 Here are some more I made in the gingham gala paper colours. These are made with Balmy Blue, Highland Heather and Lemon Lime Twist. Don't they look fab together?